House on the Market? 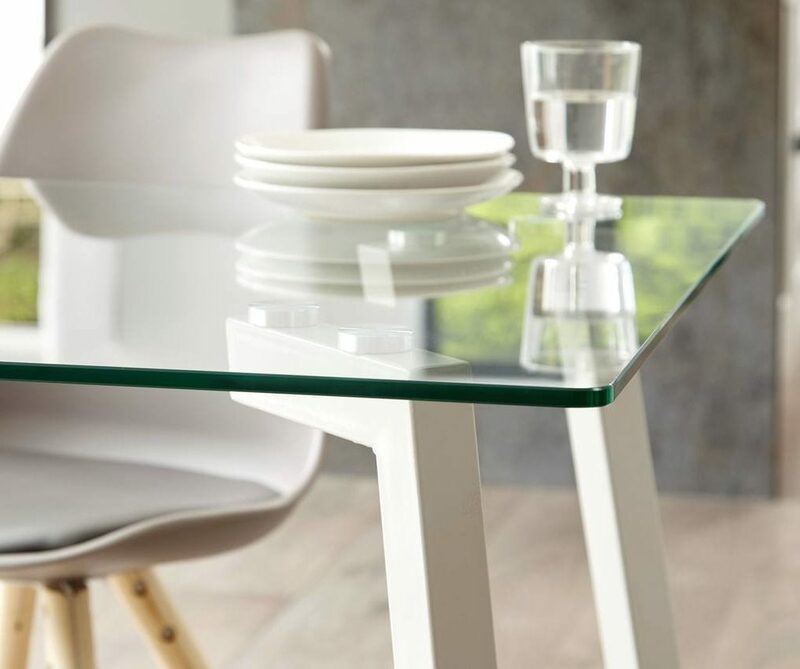 5 Tips To Help You Dress Your Home for Success. There's no denying in these somewhat uncertain times the current housing market is a little bit unpredictable. 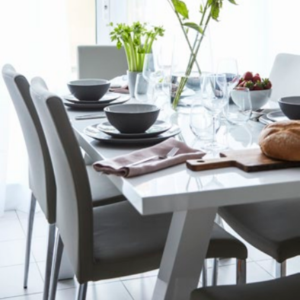 If you're thinking about putting your house on the market or currently listing, there are a few quick fixes to make your home look truly irresistible to potential buyers. Simple touches such a fresh flowers and fruit will give your house that homely touch. 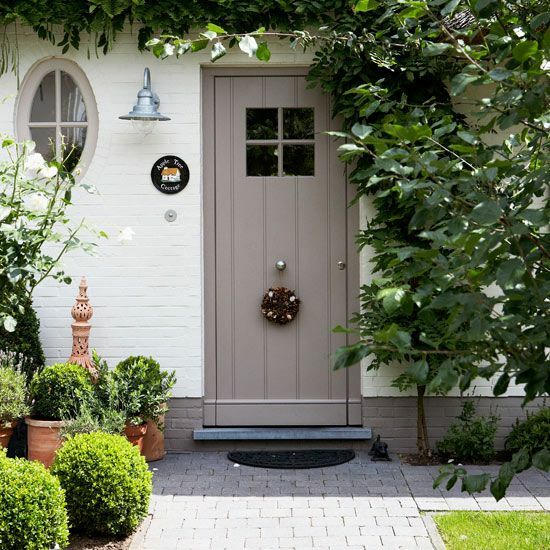 A simple paint touch up, cleaning and gardening will give your home all the curb appeal! Image via Pinterest. Clean Windows. Making sure your windows have had a good clean, inside and out, will instantly make your house sparkle. Don't forget to give all the window frames a good scrub down, and if they need a little sand and a paint, it's definitely worth doing! Shutters or Blinds. Shutters are not cheap, however, they do add value to your home, so an investment worth thinking about. 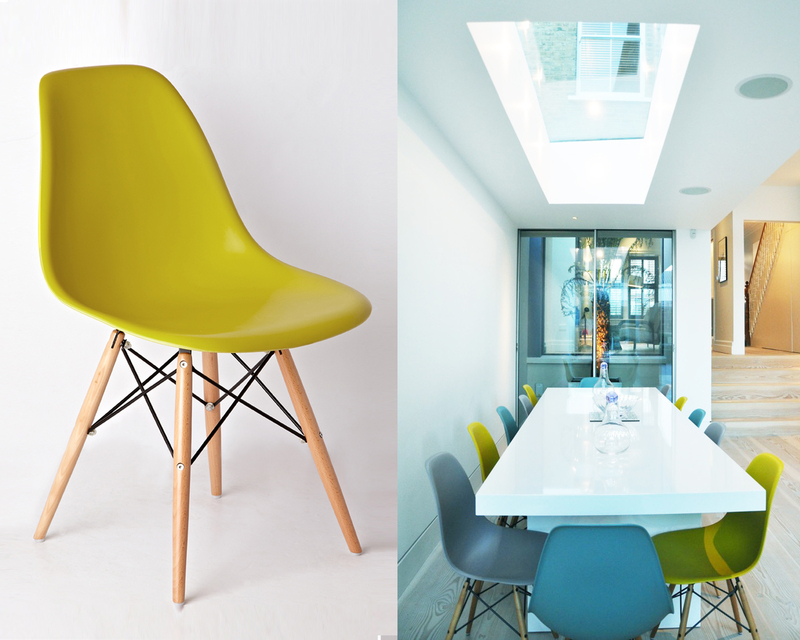 Make your home stand out from your neighbours and think about those little bits of your interior you can see from the exterior. De-weed and Jet Wash Paths and Drives. Spend a sunny Saturday afternoon pulling any weeds out from between tiles and giving your drive and pathway a good jetwash. If the exterior of your home is clean and looking well cared for, it gives potential buyers an indication of the standard you set for your home. 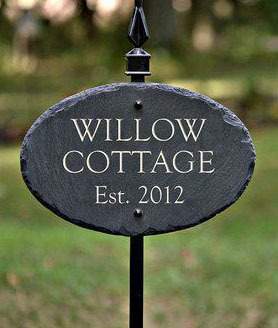 New Garden Range for 2019 - Coming Soon! Get Green-Fingered. Depending on the time of year, pop down to the local garden centre and buy a few seasonal blooms. The fact you've taken time to make the front garden look good with flowers and a good tidy up will go a long way. Tidy Up. I mean, this may seem obvious, but there's nothing worse than rubbish, an old sofa or old building supplies scattered around your driveway. Tidy up to give the best first impression possible. 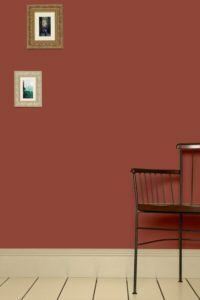 Maybe you've been meaning to fill those holes in the wall, or repaint the hall way from those mucky fingerprints. Make sure you set aside a weekend to get all of the little odd jobs done around the house. 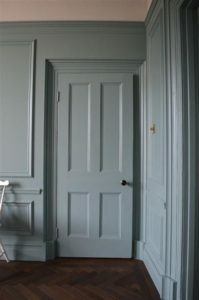 Dark walls can show the scuffs so give your paintwork a touch up, or even repaint to look pristine. 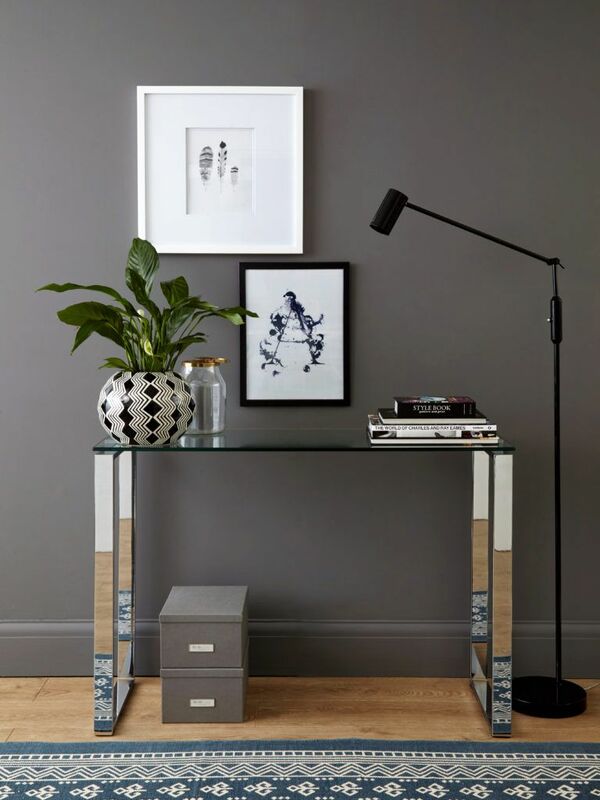 The Tiva Console table sitting pretty against deep grey walls. If you feel like you've got nothing left to do, run through this little check list- there's bound to be something you've missed! Touch up or repaint any areas that need some care and attention. 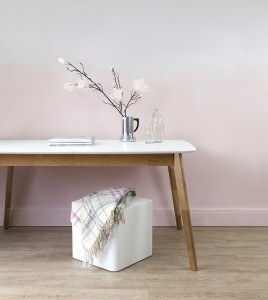 Fill in gaps in skirting boards and door frames. Fresh caulk will make the world of difference. Oil any squeaky doors and cupboards. Steam / clean curtains to look crisp and pristine. Regrout bathroom and kitchen floors and walls. 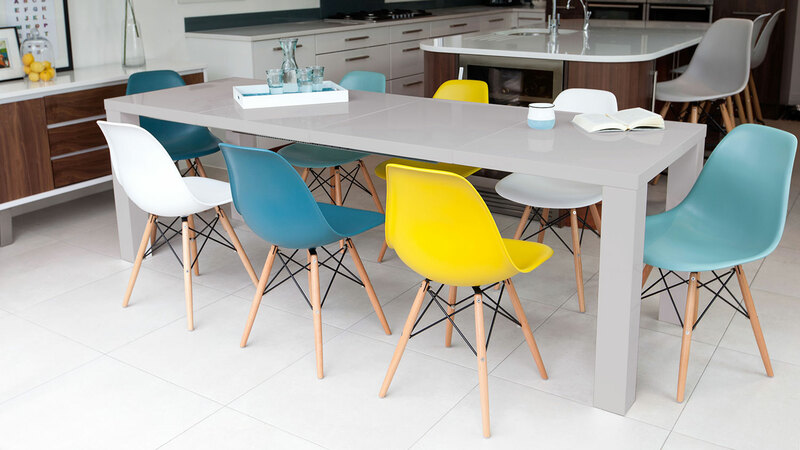 This will make your tiles look brand new! Spend some time in the garden weeding, mowing the lawn and planting some lovely flowers and plants. Again, maybe an obvious one but give your home a thorough clean, making sure not to miss skirting boards, carpets and windows. 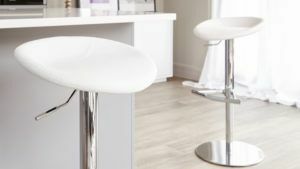 Keep on top of the cleaning and dusting weekly, with extra attention just before you have potential buyers over to view. 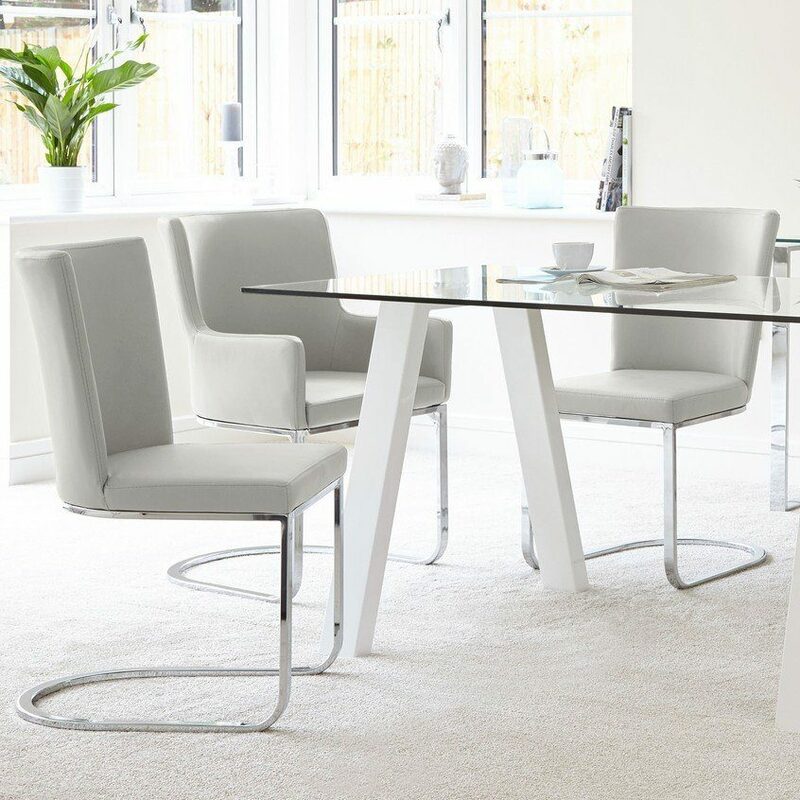 Keeping your home clean and tidy will make potential buys know you've really cared for your home. 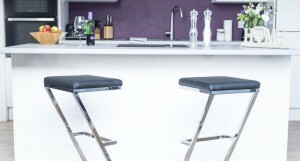 Verona Barstools in the stunning kitchen of @renovationHQ. It's also a great idea to have a Marie Kondo style clear out before moving. 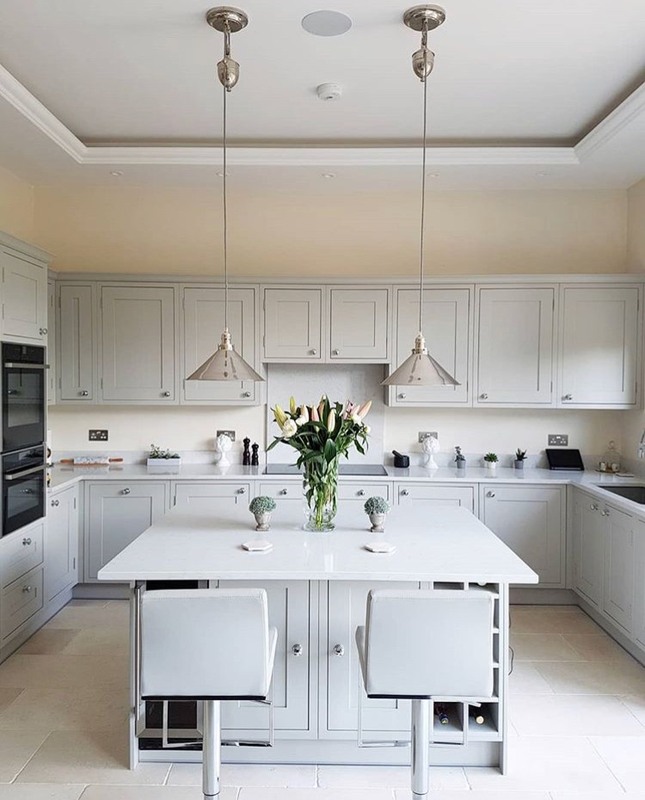 Not only will your home be organised within an inch of its life if any guest wants to check out the inside of your airing cupboard or kitchen drawers, but it will also make your life so much easier when moving! 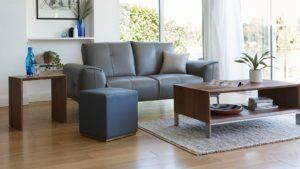 You'll only have to pack the things you need and use and be quick and easy to unpack in the new house as you will already have a home for everything. 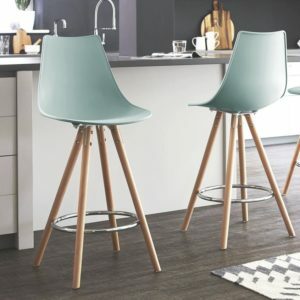 Give the kitchen a spruce up. 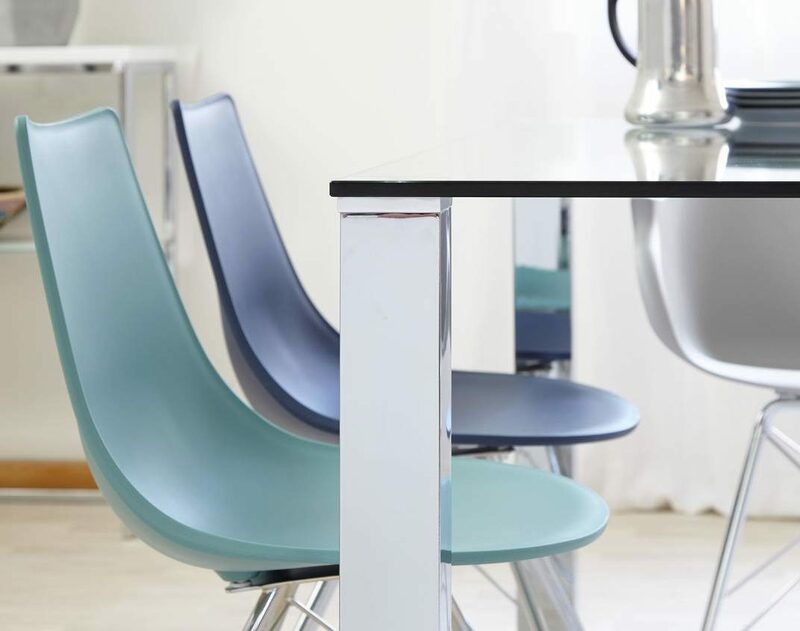 Clean any stainless steel appliances and surfaces with Baby Oil to disguise scratches and make it gleam! Declutter- hide remotes, paperwork and those odds and sods we all have lingering without a home. 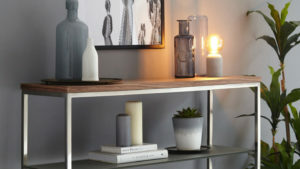 Add homely touches to your interiors during viewing to make your home look cosy and inviting. 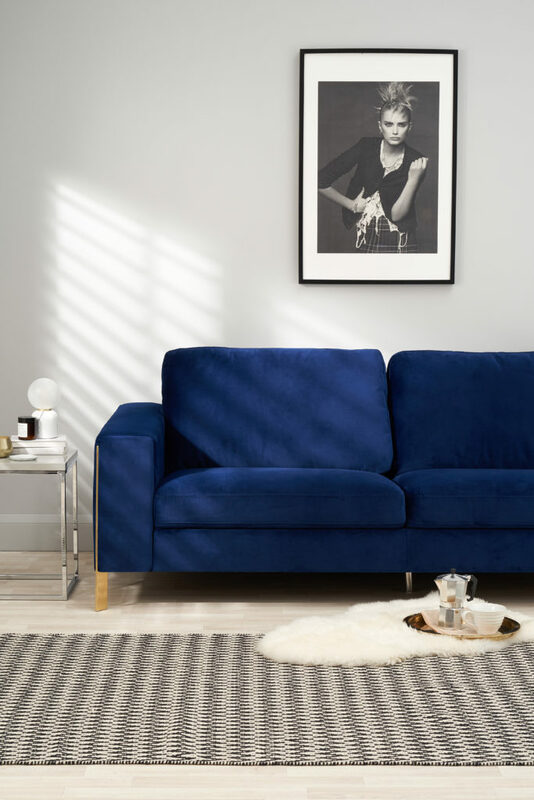 The Effie Velvet Sofa is perfect for adding impact to neutral homes. 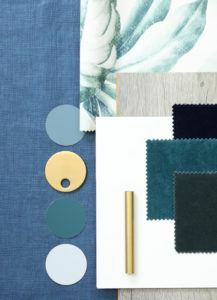 Whether you're a fan of maximalist and bold interiors, it's likely the new homeowners will have a different interior taste to you. To make your home appealing to the masses, tone it down a little bit and where possible keep colours neutral. 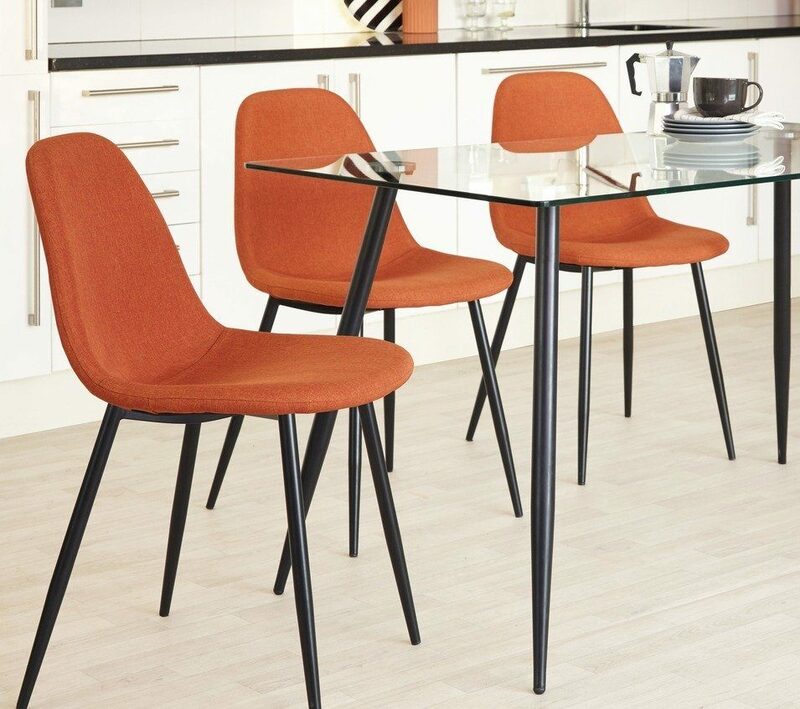 The Zilo and Fia dining set is simple enough to appeal to the masses, yet packs enough style punch to show your personality. 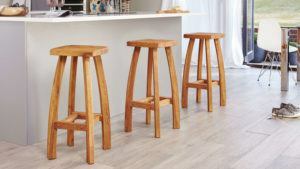 Potential buyers will want to see the opportunities in your home and how to stamp their own personality. Now, we're not saying make you home a lifeless box with no personality, but maybe tone down the animal and floral print clash. 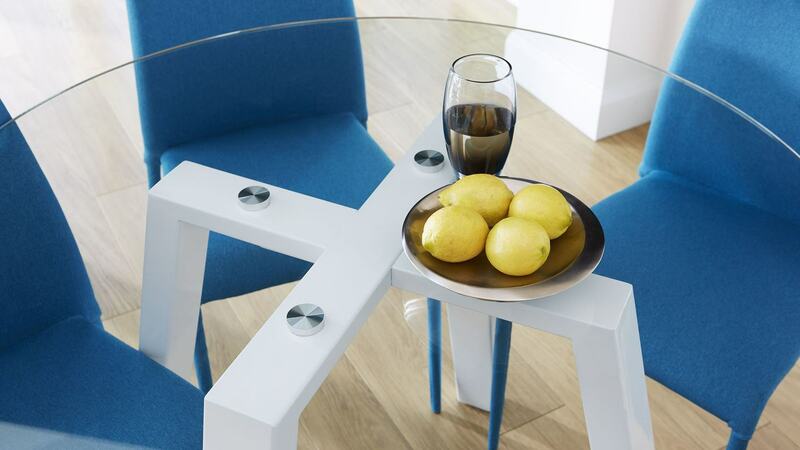 Finally, go one step further and add small touches to your interior which will really show you care. Fresh flowers and a clean scent will do more than you think for visitors. 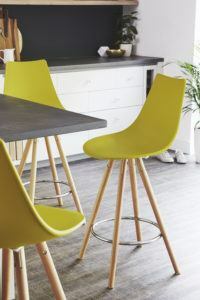 It's been said that injecting a splash of yellow instantly makes your home more appealing, while a fresh scent of clean washing or a spring day will draw potential buyers in. Avoid overpowering fragrances and keep things subtle and not too feminine to appeal to a wider range of couples or families. 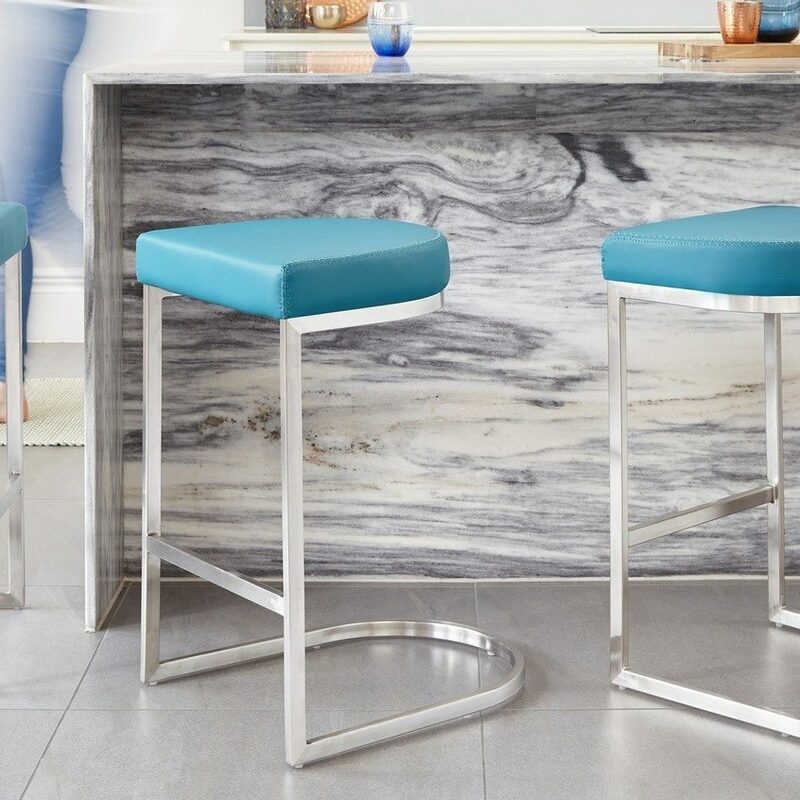 There are plenty of things you can do to dress your home for success. 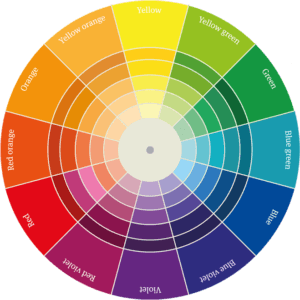 The above are just a few small changes which won't take long but can make all the difference when attempting to sell your home. Fun Fact: Research suggests that rather than call your house number 46, your home will be much more memorable to potential buyers if it has a name. 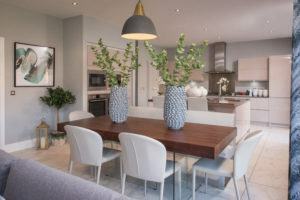 Properties named after books or animals or flowers and plants like Honeysuckle Cottage or Willow House will stand out and give a cosy preconception to those house hunting. 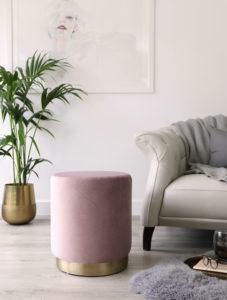 We're not saying it's a must to sell your house, but it's a lovely touch and maybe something to consider when you move into your new home. 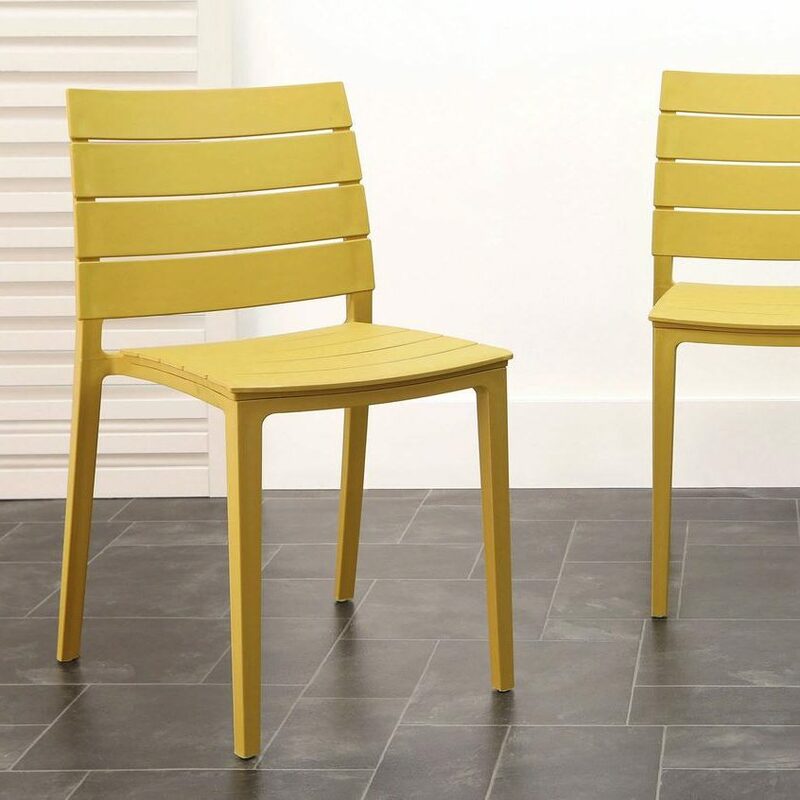 Outdoor Patio Chairs – Get Ready for Summer! 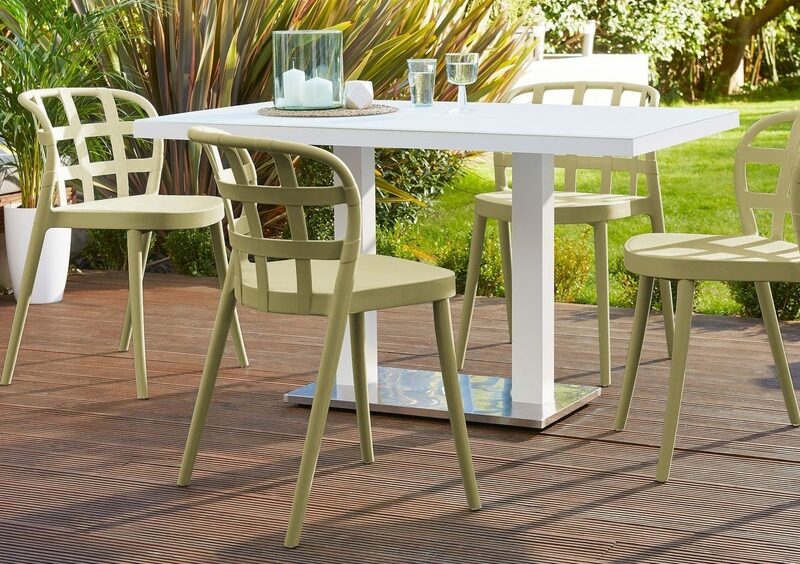 The curved shape and simple design of the Lola Garden Chair will create such a welcoming and convivial feel around any garden table. 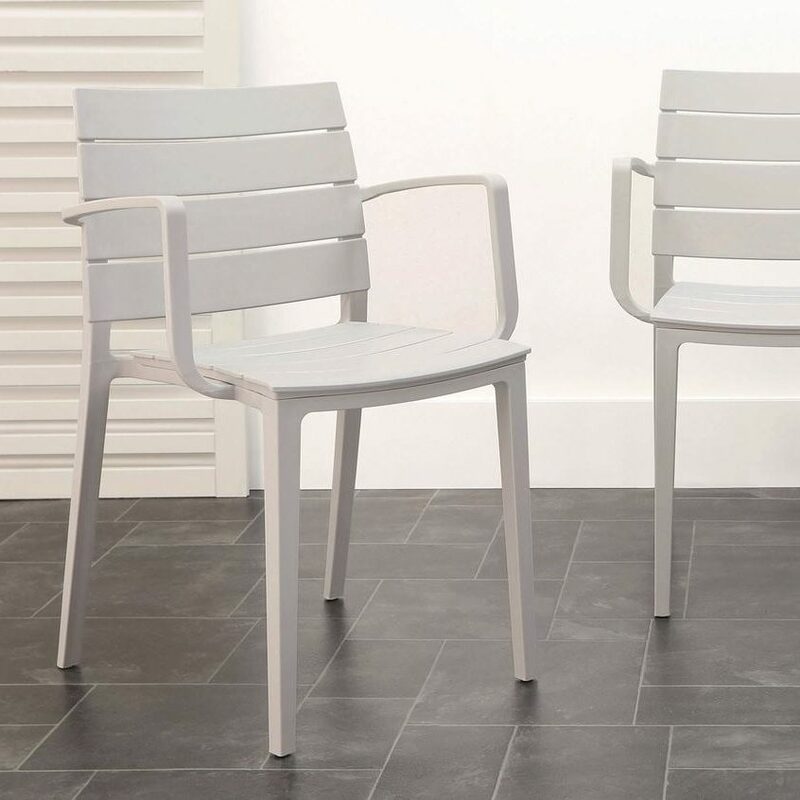 The contemporary look of this garden chair will instantly freshen up the feel of your outdoor space. 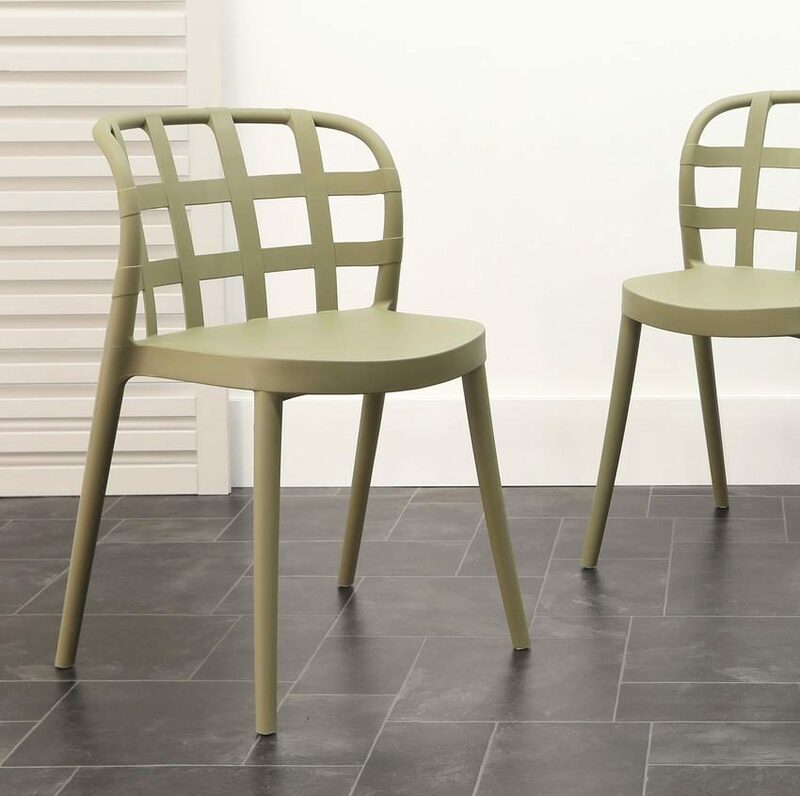 Here we've styled the Lola chair alongside the Palermo 2 to 4 seater garden table. 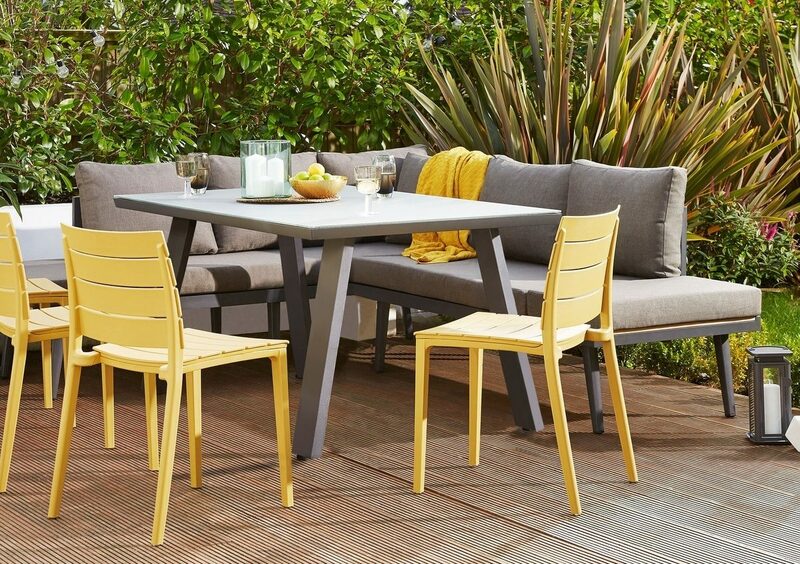 This set is perfect if you're a little pushed for space, or if you don't want your outdoor space fully occupied by your dining table. 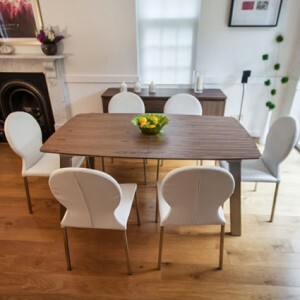 With the option to seat two to four people, or to use the table as a centrepiece for drinks and snacks, this set up is incredibly versatile. 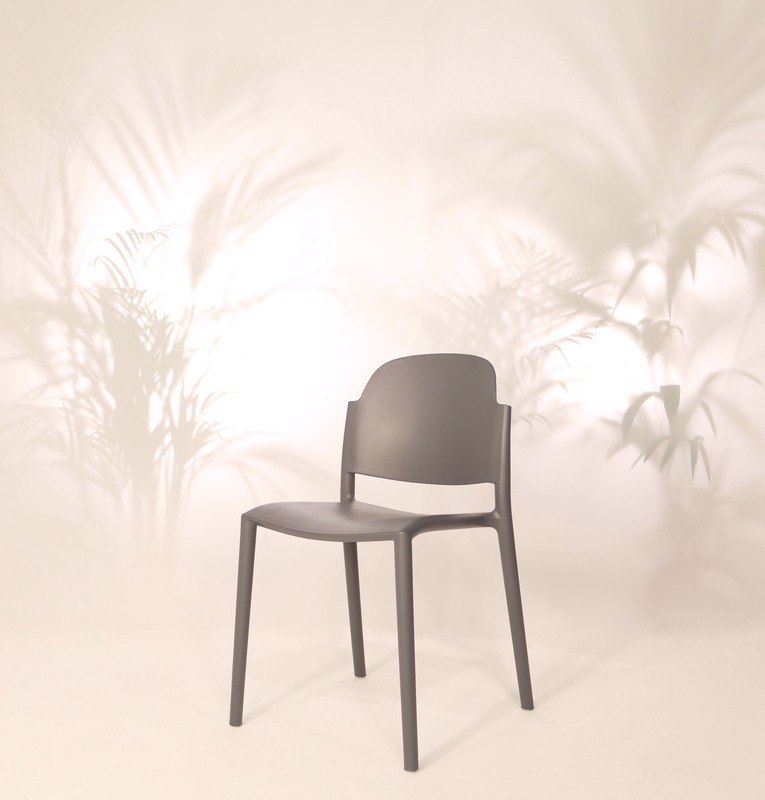 The Edie Garden Chair is a modern take on traditional garden seating. 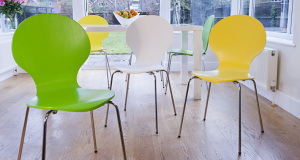 Easy to clean, lightweight yet durable, the Edie chair ticks plenty of the right boxes! 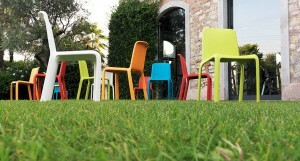 Outdoor patio chairs are incredibly versatile. 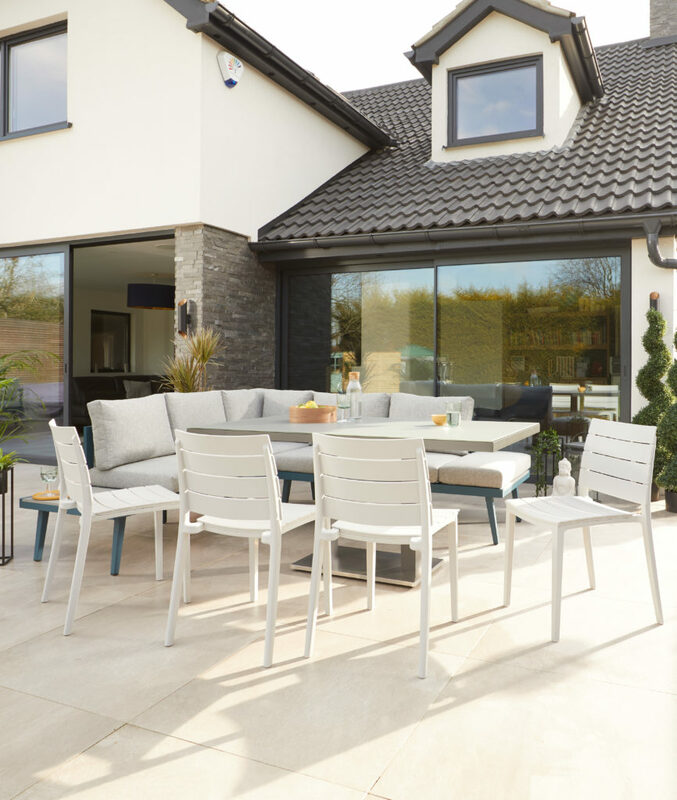 Here we've styled the Edie chairs alongside the Fresco table and Palermo corner bench to create a welcoming and sociable outdoor space. 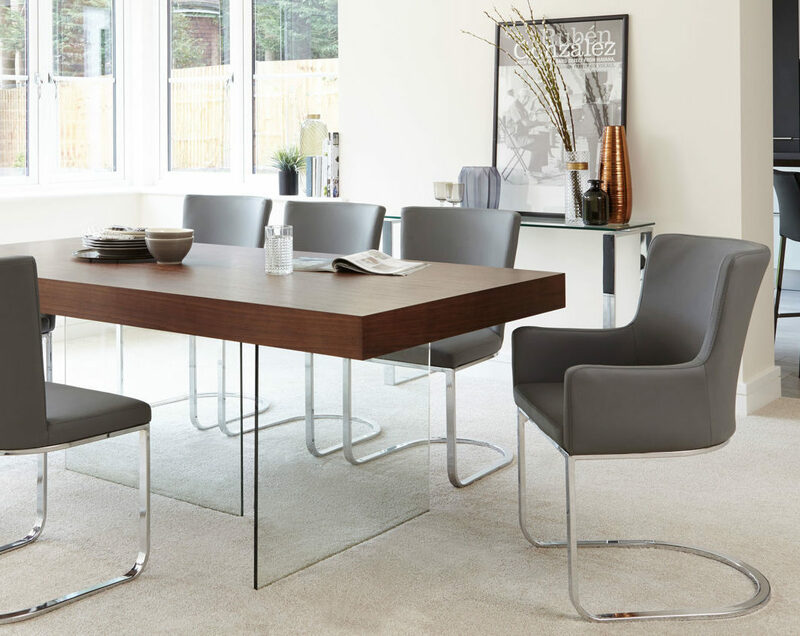 The combination of the chairs and bench mixes and matches dining with lounging, while also allowing you to pull up a few extra spaces when you have more guests to seat. 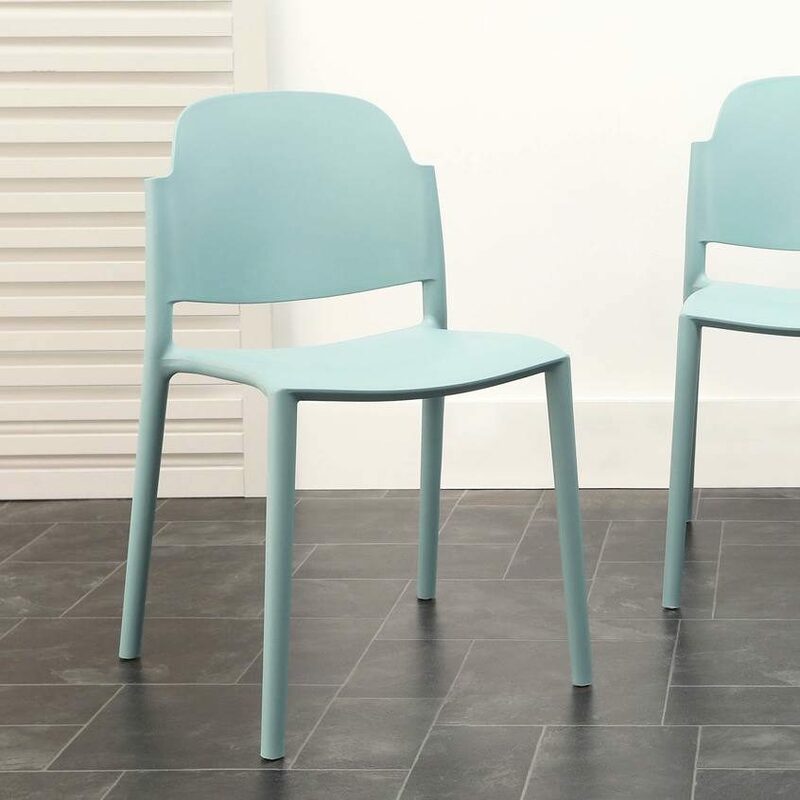 If you're after slightly more support when seated, we suggest choosing a garden armchair. 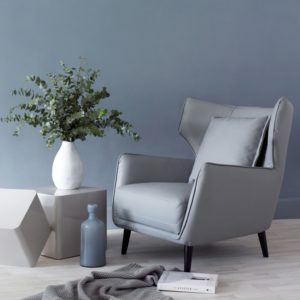 Coordinating with the Edie Garden Chair, the Edie Garden Armchair has space for you to rest your arms so you can really sit back and relax. 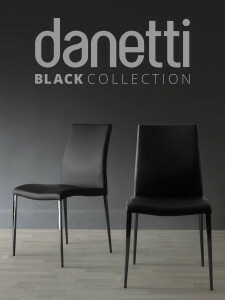 You can also mix and match dining chairs and armchairs for a stylised look. 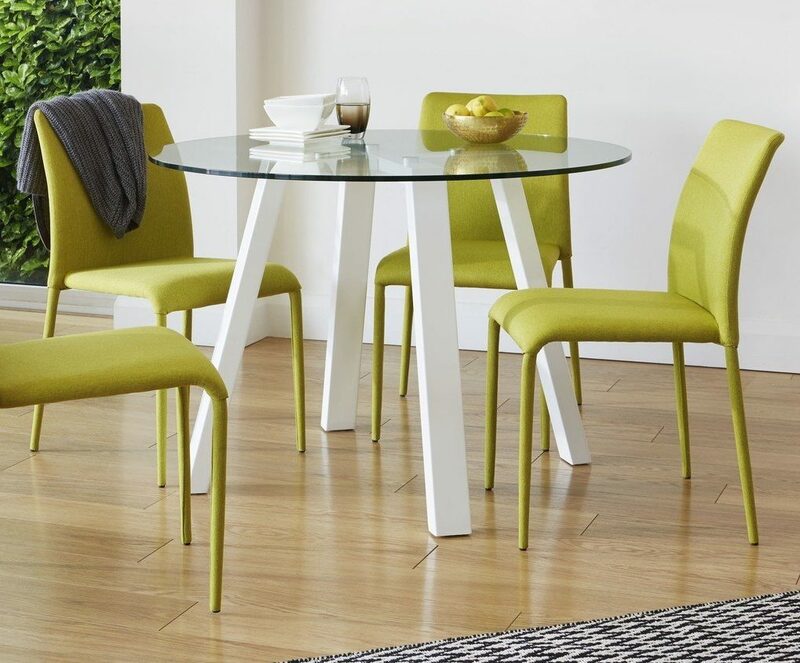 Garden armchairs are a great fit styled at either end of your dining table (this goes for indoors as well). Doing this gives the set more focus. 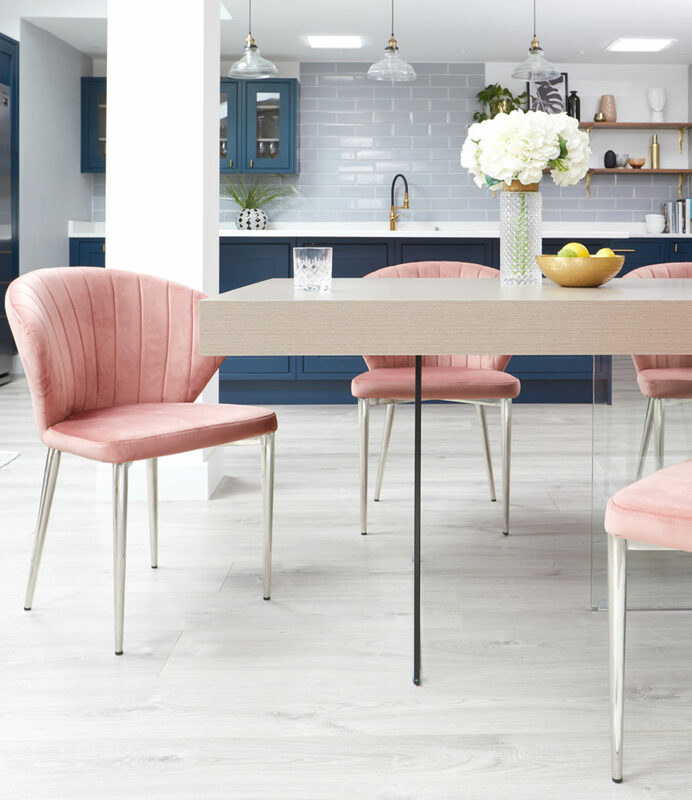 Here we've styled the Edie with the Palermo table and bench. 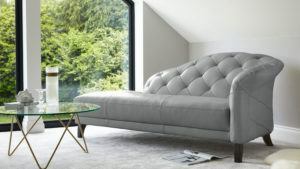 By combing a backless bench with the two armchairs, the look remains open and inviting yet seamlessly coordinated. 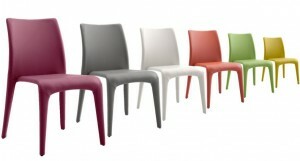 The Skye Garden Chair is such a comfy plastic seat due to the curvature of the seat back. 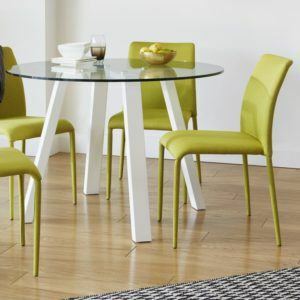 The fluid shape means the chairs can be easily stacked for handy space saving and storage while maintaining a sleek design. 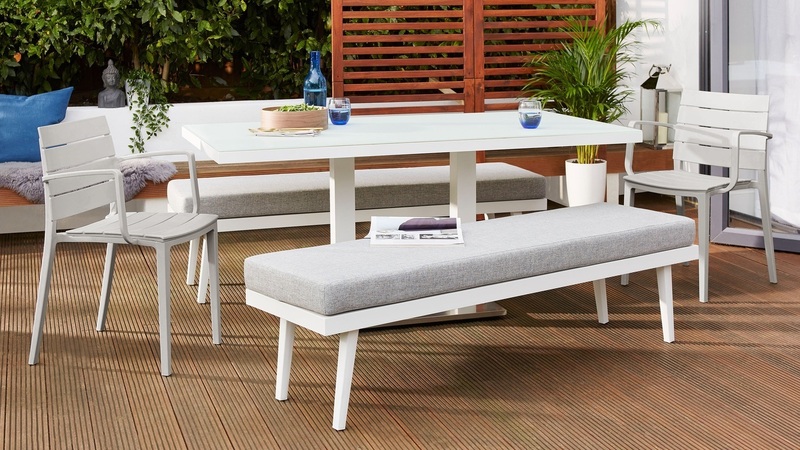 The open style back is also a great feature for keeping your garden space looking open and inviting. 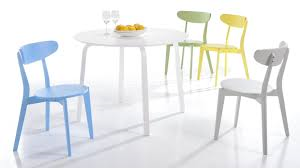 By pairing the crisp white frosted glass finish of the Palermo table with the colourful plastic Sky chair,, the colours really pop. 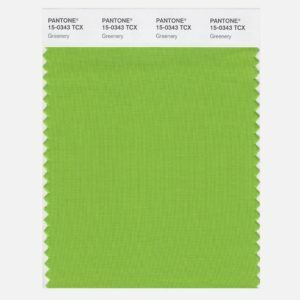 Matcha green is an ideal choice if you want to coordinate with more earthy elements in your garden, such as plants and decking, while the freshness of the white table adds a hint of modern flair. 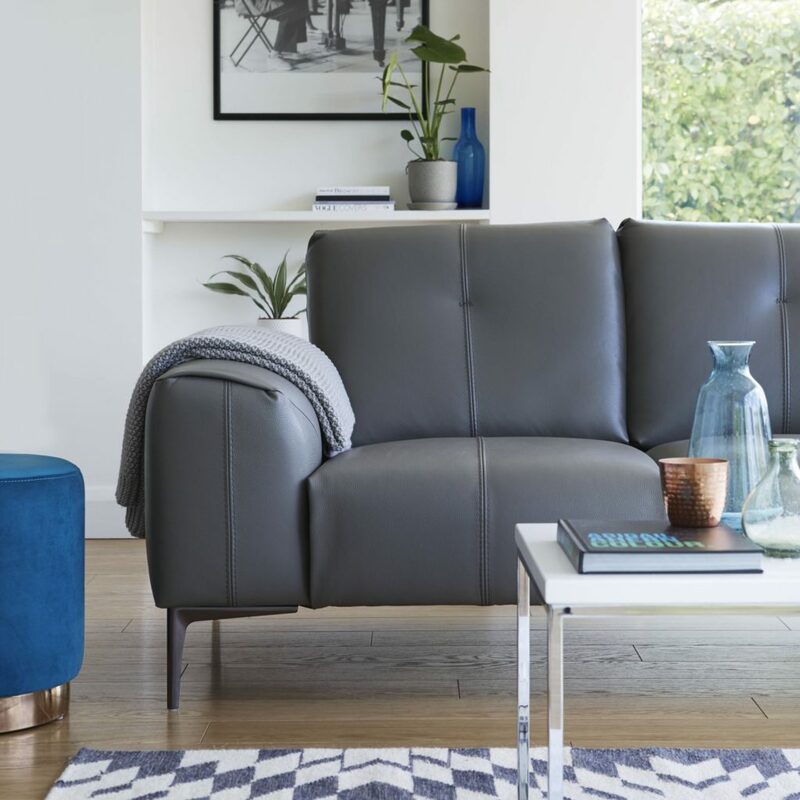 We have loads more styling and sizing tips for our outdoor range which you can read here. If you enjoy the content we share with you, be sure to sign up to our newsletter. 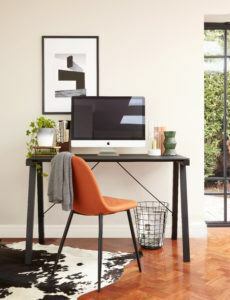 We send out product updates, styling tips and offers straight to your inbox so you won’t miss a thing! You can sign up here. 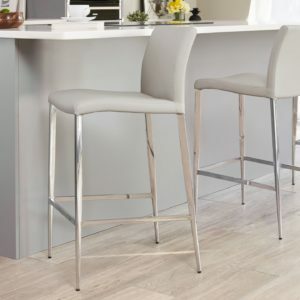 Bar Stools Sale – Save 10% Off Our Already Low Priced Bar Stools! 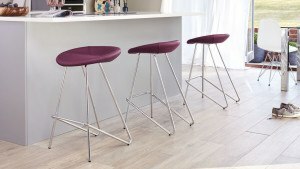 Now you can save on our fabulous range of modern bar stools by using promotional code BAR14 at the check out on orders over £200* to receive 10% off your order**. 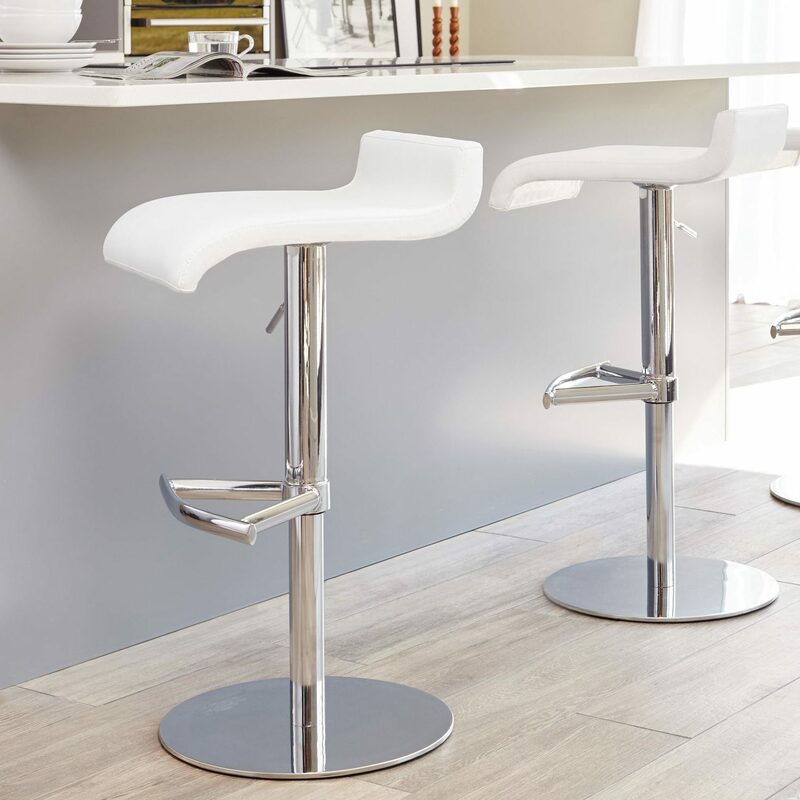 Promotional code BAR14 expires at Midnight on Sunday, 13 April 2014 and is valid on the purchase of Bar Stools only. *Not including delivery charge. **10% off does not apply to delivery charge. 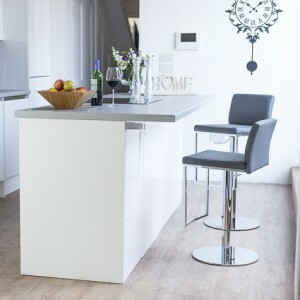 There are usually two standard heights of counter or breakfast bar - 900mm approx and 1100mm approx. 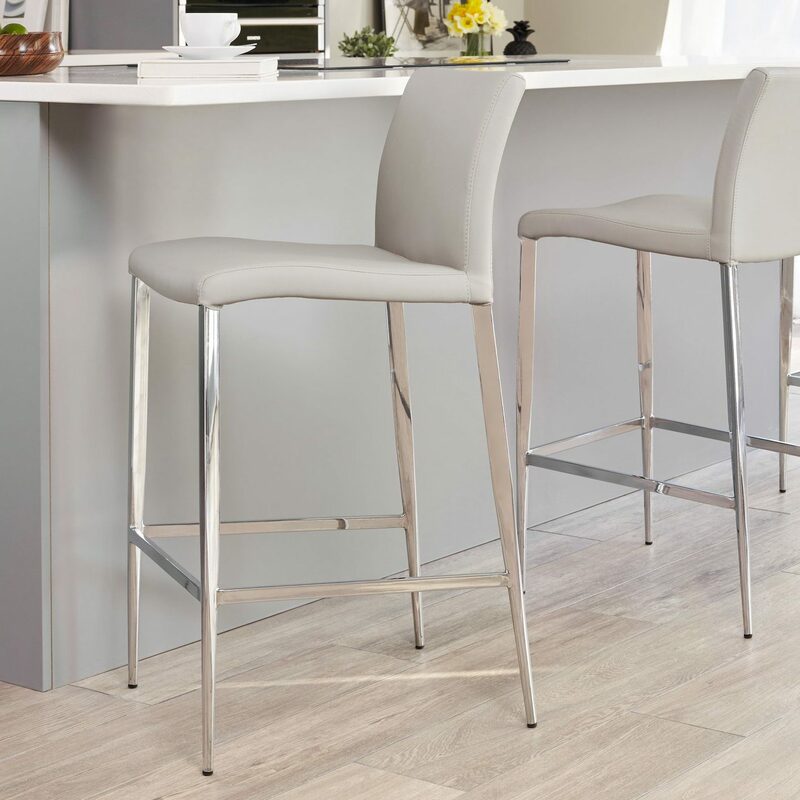 For a 900mm counter, a 650-700mm fixed height bar stool is recommended, and for a 1100mm counter, a 770- 800mm bar stool works well. 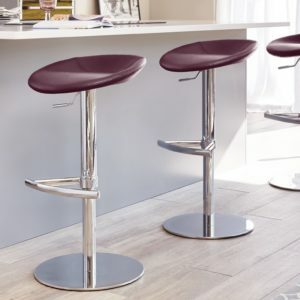 An alternative option is to go for a gas lift bar stool so that the height is adjustable, meaning that the stool can be used in different locations in your home or business. 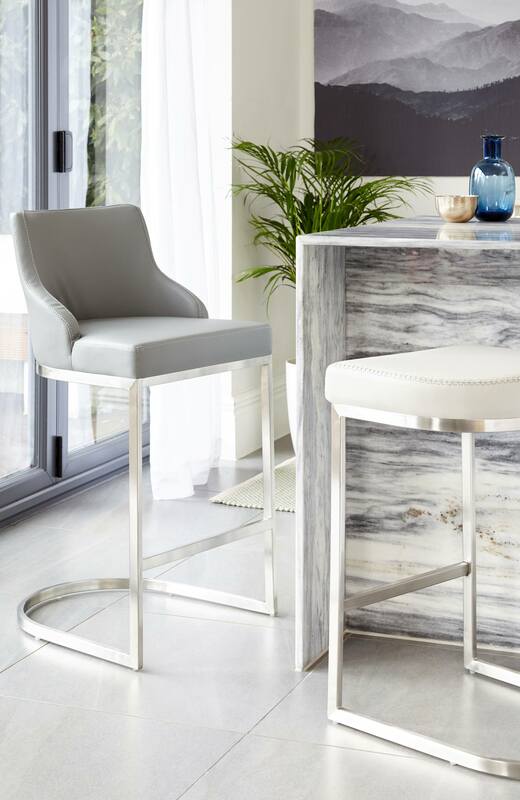 Who can resist a beautiful Walnut table or sideboard? 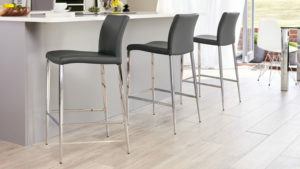 These classic and timeless pieces create a statement in any living or dining room and seem to get better with age. 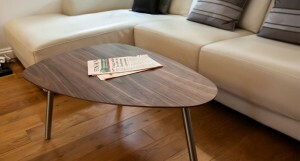 Walnut is always contemporary no matter what accessories and furnishings you put with it. 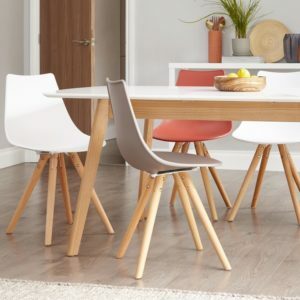 So to create a look for your dining or living space that will not go out of fashion in one season, have a look at our selection of Solid Walnut and Walnut Veneer tables, sideboards and coffee tables and make an investment that will last and last. 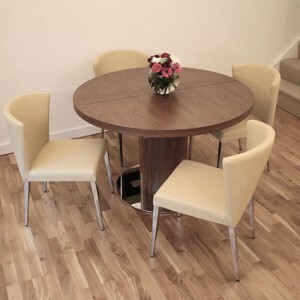 The Florence Large Round Solid Walnut Dining Table is a beautiful and eye-catching circular dining table made from solid American Walnut with a stylish champagne flute shaped brushed aluminium pedestal base. 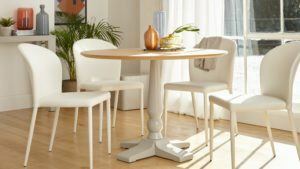 The table top has a diameter of 1000mm which is large enough to seat up to 4 people easily. 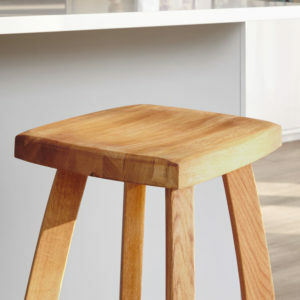 The hand selected walnut has been finished with a clear natural polish to bring out the woodgrain and beauty of the solid wood. 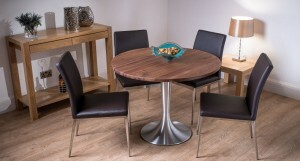 Complementing this gorgeous round walnut table are the Lucia Modern Dining Chairs, which are comfortable yet elegant, upholstered in hard-wearing yet luxurious faux leather in a choice of 6 colours - classic Black, modern White, funky Putty Grey, Latte Beige, Espresso Brown and trendy Mulberry Purple. 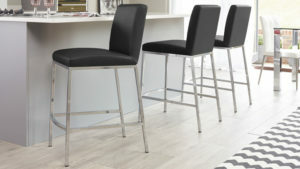 The shapely tapered legs are finished in brushed metal and match beautifully with the brushed metal pedestal base.